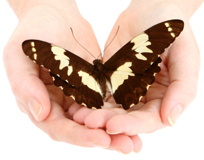 Founded by Lyneth Clarke, Talking Therapy Cardiff provides a counselling service in a discreet, warm and friendly environment that offers people a chance to change how they are feeling and improve their wellbeing. Counselling provides a regular time and space for you to talk about your problems and explore difficult thoughts and feelings. Lyneth is a qualified and experienced counsellor working with Cognitive Behavioural Therapy (CBT) and can help with depression, anxiety, low self esteem, lack of confidence, anger management, panic attacks, phobias, obsessive compulsive disorder, substance abuse, eating disorders and more. Talking Therapy also offers services to other counsellors, including supervision, the opportunity to hire therapy rooms and networking with other counsellors in private practice. Therapists use cognitive behavioural therapy (CBT) to help clients overcome their difficulties by helping them to change their thinking patterns, behavior and emotional responses. 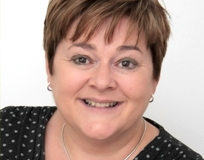 Lyneth is a qualified and experienced CBT counsellor and the founder and manager of Talking Therapy, a warm, friendly and modern space with a number of counsellors and therapists working from the practice. 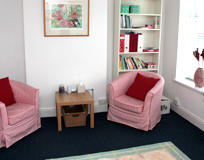 At Talking Therapy there are three warm, comfortable and modern counselling rooms that are available for other counsellors and therapists to hire on a sessional basis. 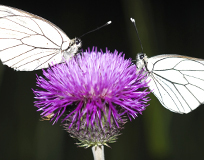 Lyneth is able to offer supervision to other counsellors and cognitive behavioural therapists. She holds a post graduate diploma in consultative supervision and supervises both individuals and groups.